So for the next several days, we will be giving you some additional creative ideas for using the dies. Our cards today are all about Valentine's Day. Card 1: Our first sample today is from Jeanne Knobbe. 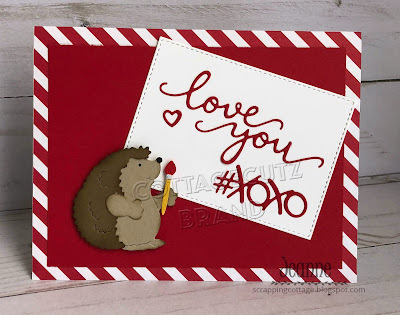 She used the Valentine Hedgehog and the Valentine Phrase & More dies to create this sweet Valentine card. 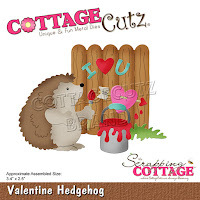 I love how she is presenting this cute little hedgehog as the writer of the Valentine phrases. 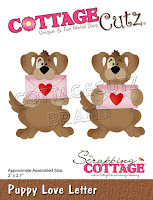 She kept her design on the clean & simple side which is so perfect for the masculine cards we might need. By placing the sentiment panel on an angle and using only red & white colors, her card makes such an impact. Card 2: This next sample is from Janja Albreht. She used several of the doggie dies to create this ever so cute card. 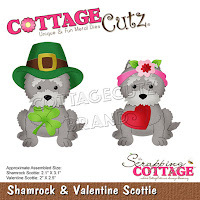 Puppy with Valentine, Puppy Love Letter, Shamrock & Valentine Scottie and Be My Valentine Puppies to create her pet themed Valentine. Each one of the little pups is cuter than the next. 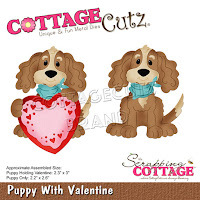 How perfect would this be for your pet loving friends? She kept her design simple to allow the pups to be the center of attention. 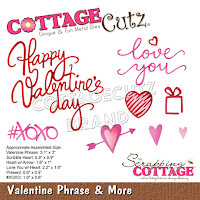 The "With Love" phrase is an older die and is currently on a 50% off sale. It worked so well as the finishing touch on her card. Card 3: Our last sample for today is from Anja Zurga. 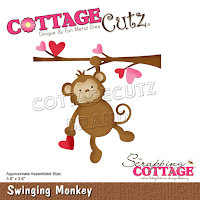 She used the Valentine Hedgehog and Swinging Monkey dies to create this playful Valentine card. Her background was sponged with distress oxide inks and then she used a cloud stencil and baby wipe to get the white clouds. 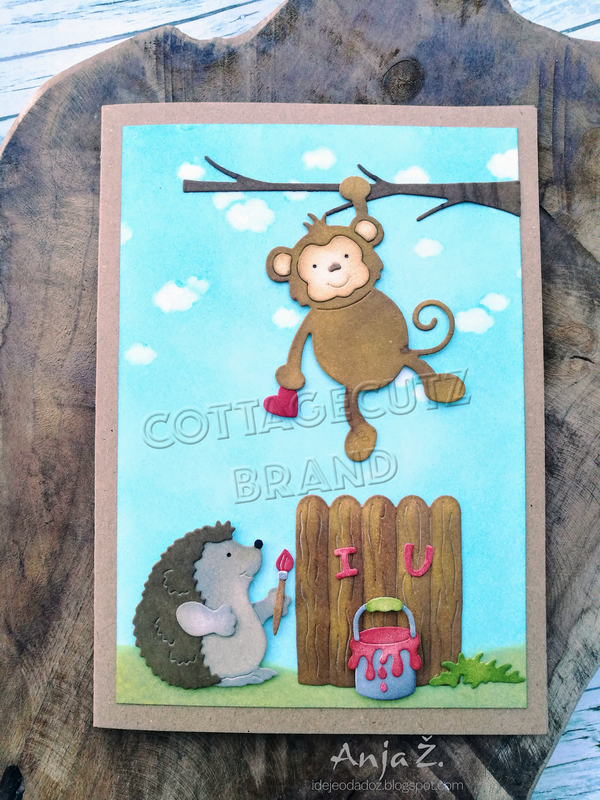 For her little scene she has the hedgehog busy painting his little fence for Valentine's Day, and the monkey came and stole away the heart. So cute! This would be a great card for your significant other or a loved little one. Kids love getting cards especially handmade ones. These dies are adorable. The DT did an awesome job!! Adorable love all of these samples! I always love the design team samples, they are so inspirational! Fabulous cards ladies, love them all!